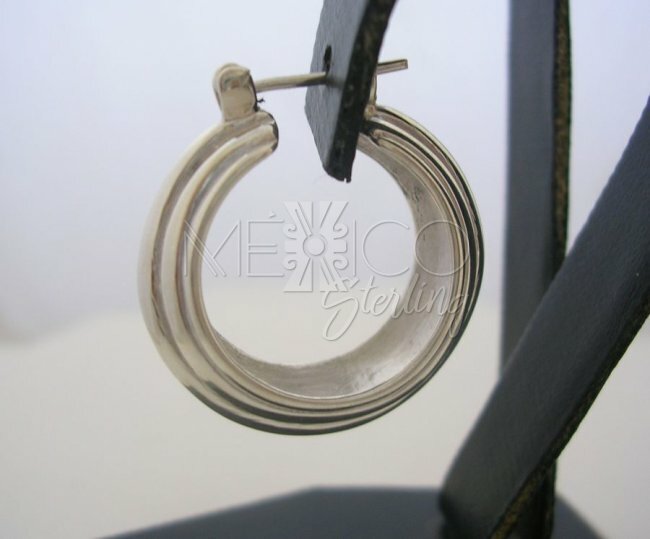 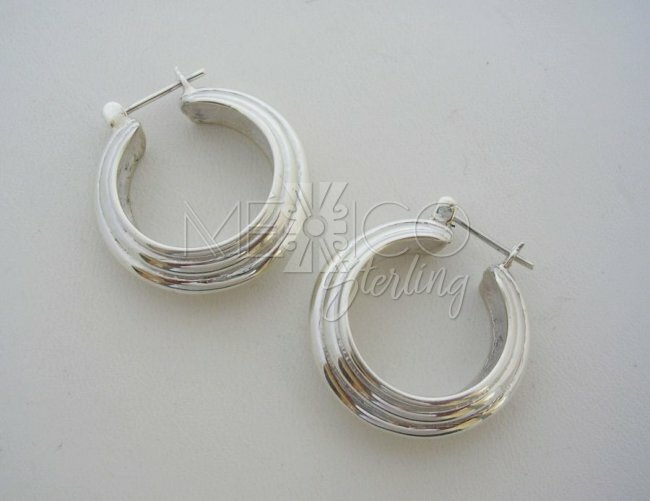 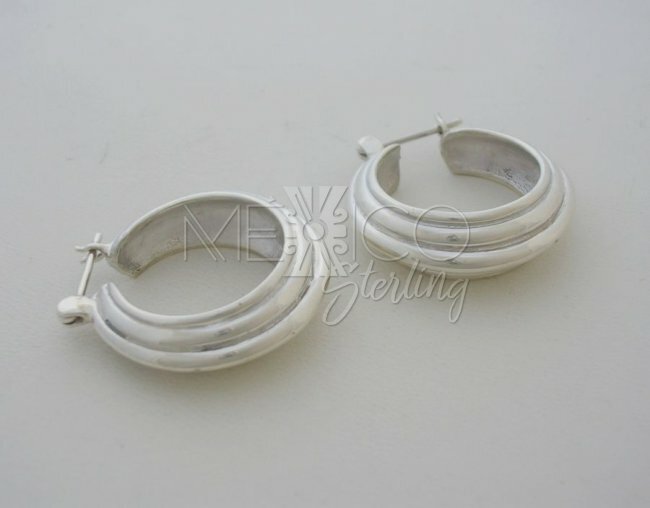 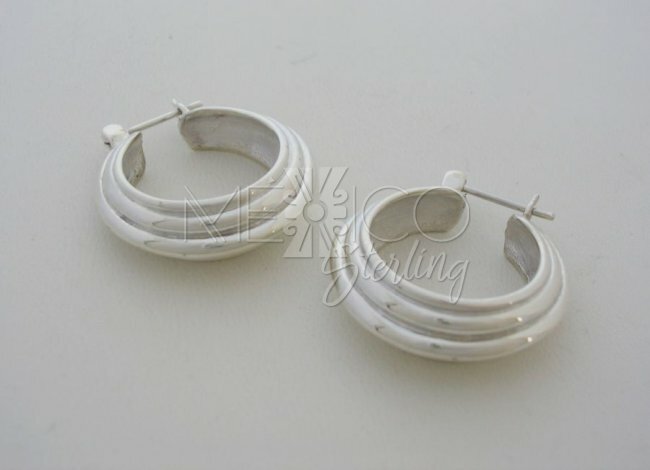 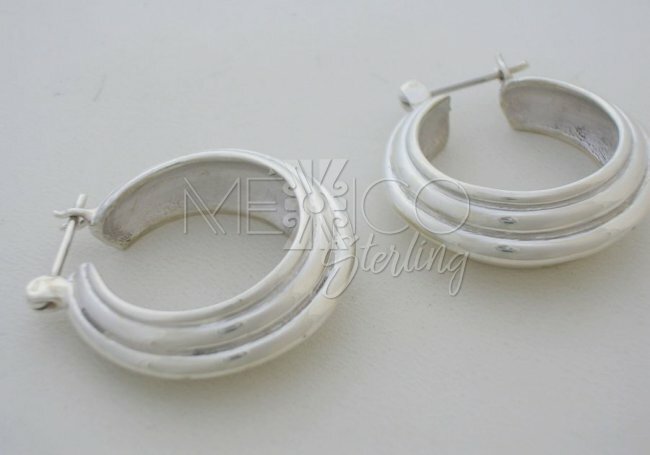 Graded and Sturdy Taxco Sterling Silver Hoops [EAR2735] - $48.00 : Mexico Sterling Silver Jewelry, Proundly from Mexico to the world. 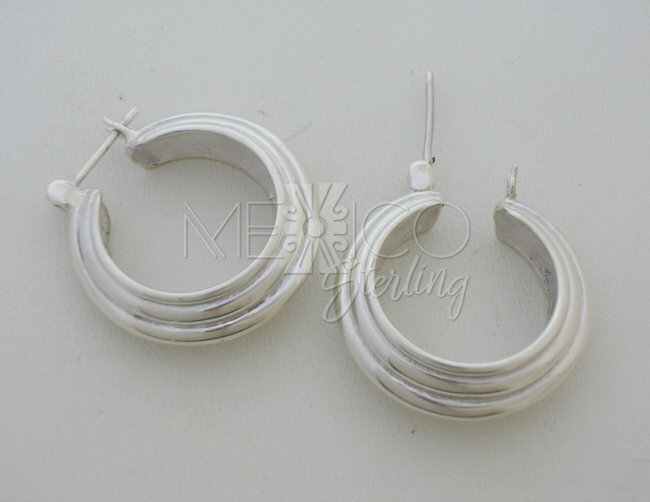 Dimensions: Width : 1 1/8" Length : 1 1/8"
These are very nice graded silver hoops, they have a simple design, but that doesn't diminish their beautiful look. 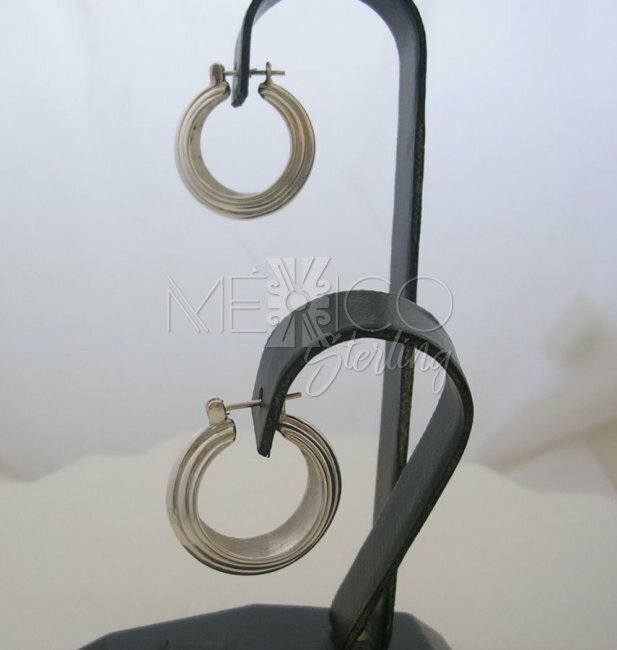 Handmade silver jewelry that carries a charming appearance. 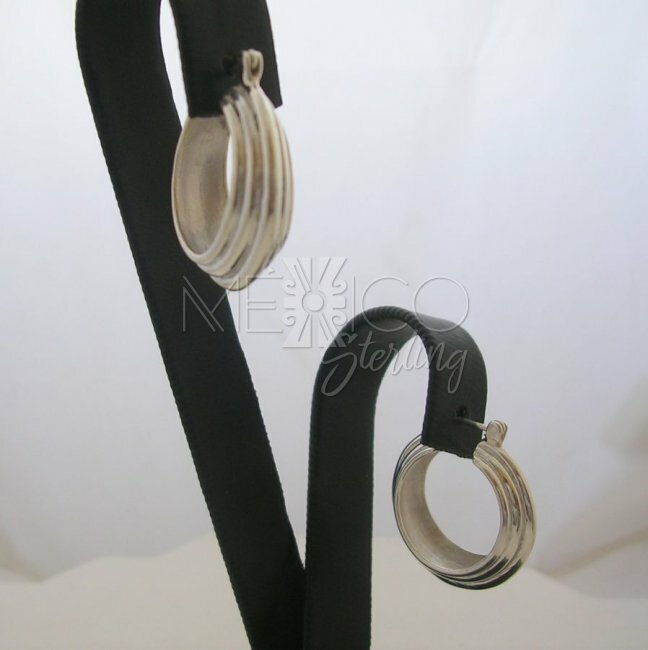 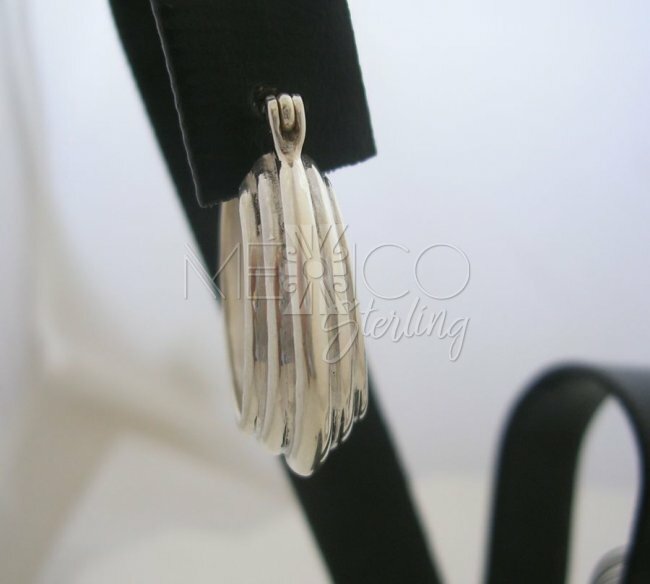 They are sturdy silver pieces of jewelry, crafted with excellent workmanship and beautifully finished.